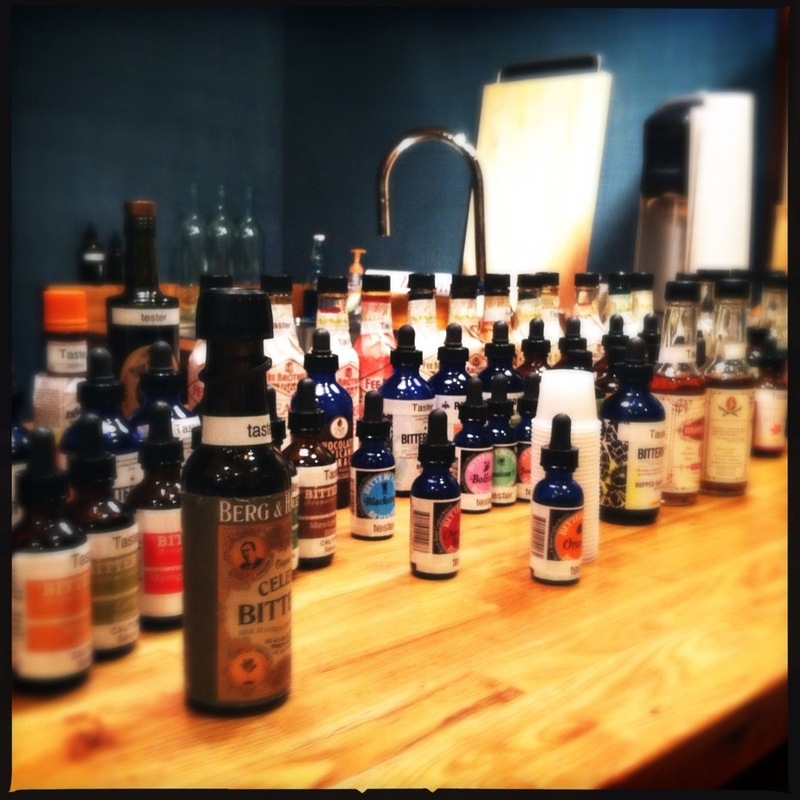 Here’s some pics from my home last year (I’m a year late…shrug). A guiding principle of simple is to leverage what you have on hand. For me it is fallen things in the yard (pinecones and branches). Beautiful paper (old calendars and last year’s holiday cards) plus some flea market finds (metal letters, pedistal dish). Metal letters #thesomervilleflea. Paper tree and star, #lightbycoco holiday video. I can’t say I’m great with origami or paper arts, but I absolutely love the simplicity of paper. I also love anyting I can clean up with a vacuum. Here’s a tree-folding technique I’ll probably do again this year. Looks great with newspaper or pages from an old book (that would otherwise be thrown away). Window displays at Anthropologie and Light by Coco have been big inspirations. #goodbyechristmas lovely spending time with you. The natural kind. Here’s a pot of clipping from the garden center. So wonderfully smelly! Very inexpensive too ($4-6). Place in water, lasts for weeks. This mobile created from a branch, paper trees and thread is very light. The placement above the table gives it more visual emphasis. Anything in your home that creates shadows and movement will change throughout the day. Such an easy way to add interest. 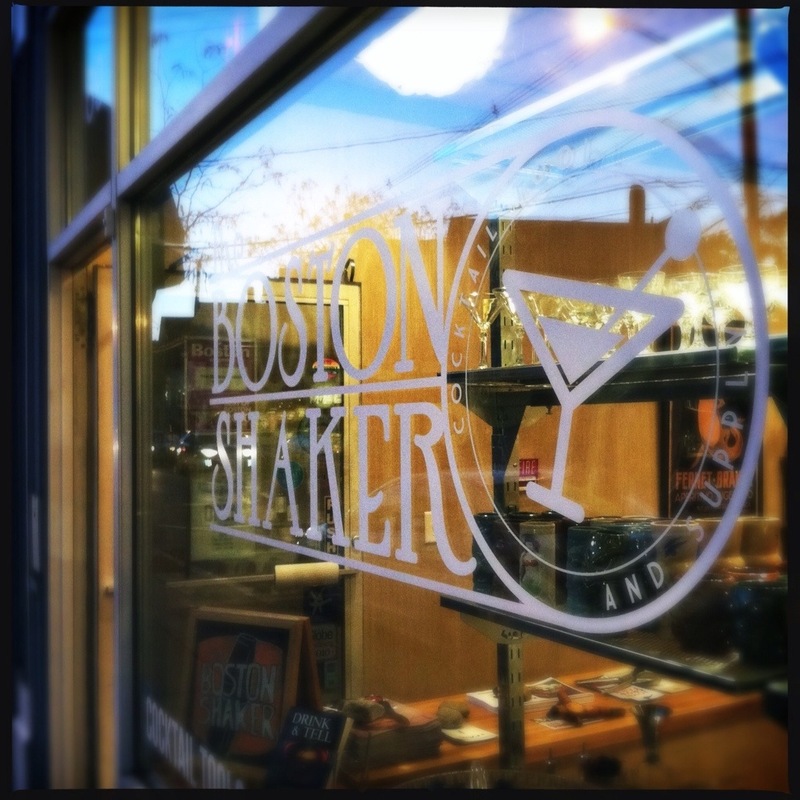 One of many things I learned as a result of stepping into Boston Shaker, Davis Square. First of all, bitters. 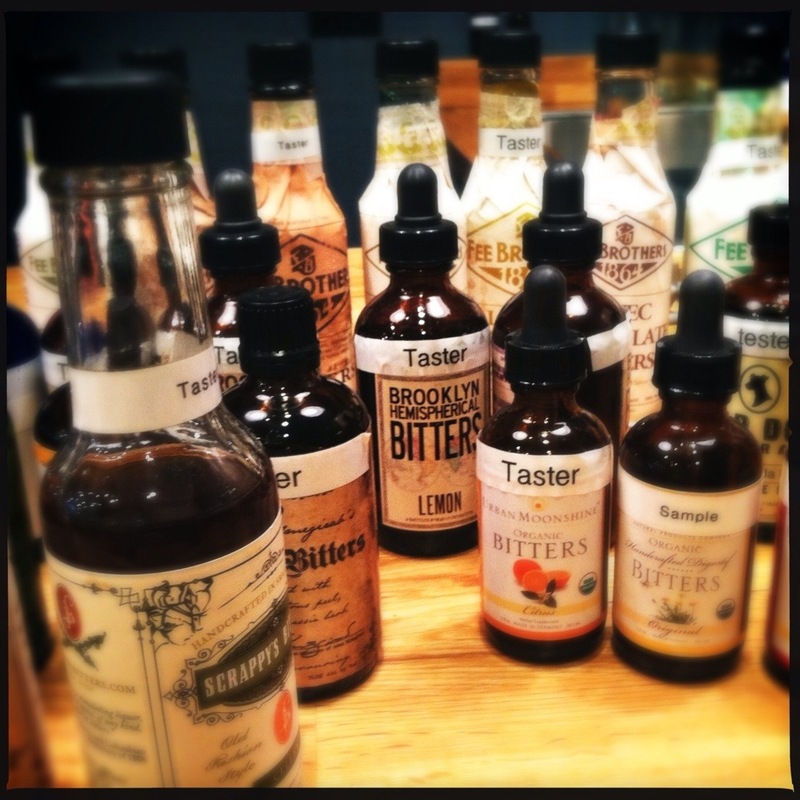 Bitters are the joy and the flavor code to grasp for a truly remarkable cocktail experience. Ginger beer. You either love it, hate it or like really really really really love it! I am that third category, which I hope is why I went way overboard and spent $16 on this highly recommended brand, Blenheim, from South Carolina. I’m sure it costs far less in it’s native land. But, if you’re a yankee and you want some spice, what are you gonna do? Oh. I just answered that. A true yankee would make her own. Sorry Dad. 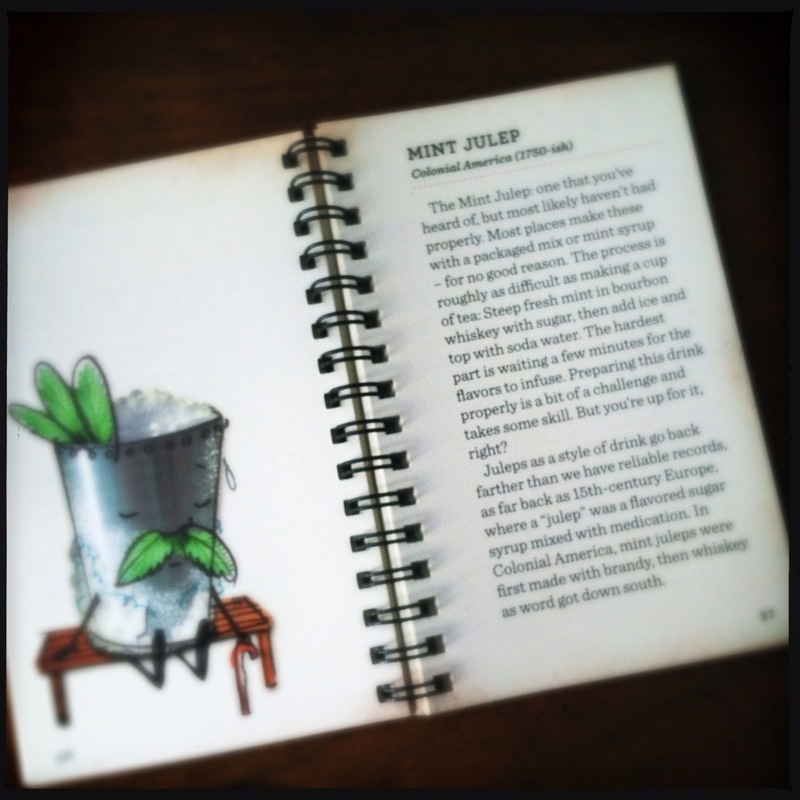 And here’s the book that revealed to me why we might shake a cocktail vs. why we might stir. 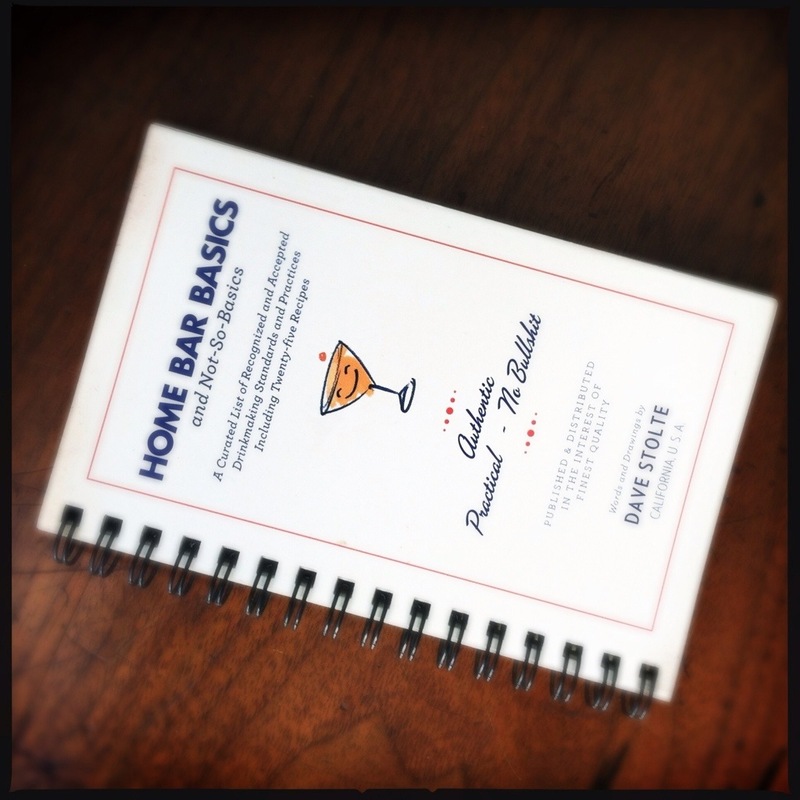 Home Bar Basics, By Dave Stolte. Appreciate this guide. It’s concise, informative, useful and rewarding. Dave Stolte, had an outstanding Manhattan last night. At this rate I’m headed for drinking at home on a fairly exclusive basis (unless it’s wine). 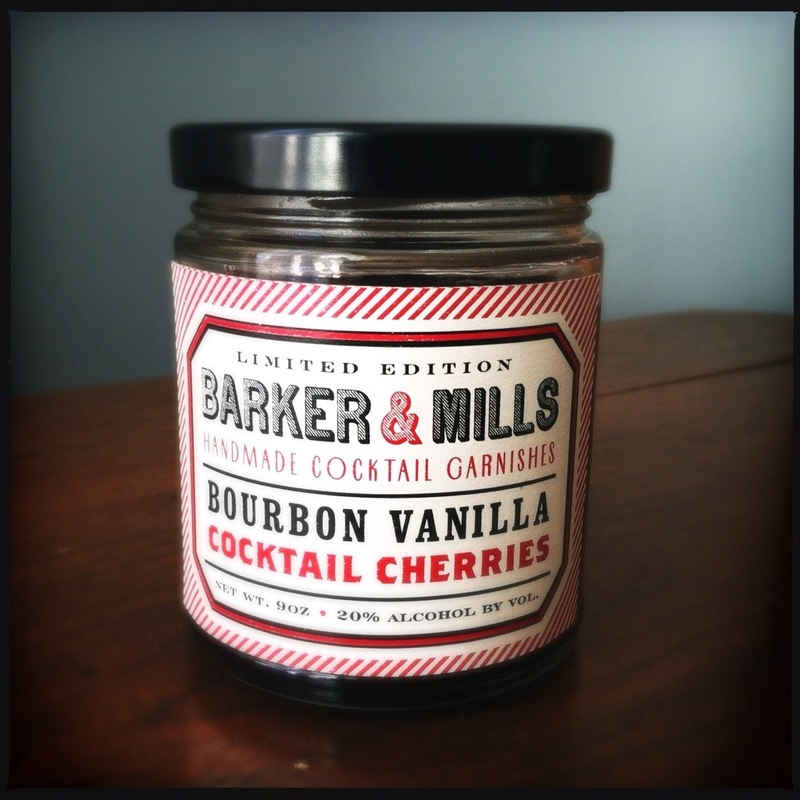 Barker and Mills cocktail cherries. Vanilla and bourbon. It’s dessert. 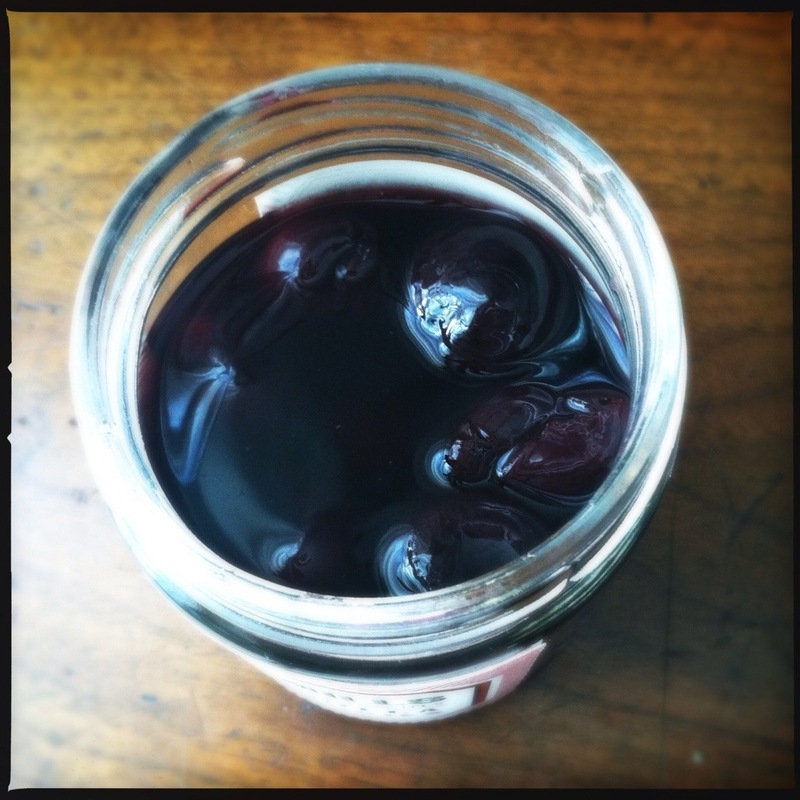 Lady in the shop, along with a familiar customer, made sure I understood to not only enjoy the cherries, but to use every last drop of the juice! Now I just need to find a fun crowd, happy to sparsely sip. Most of us seem to know the glutinous glug. I’m a glutton. In this exact moment, I vow to explore the sip. 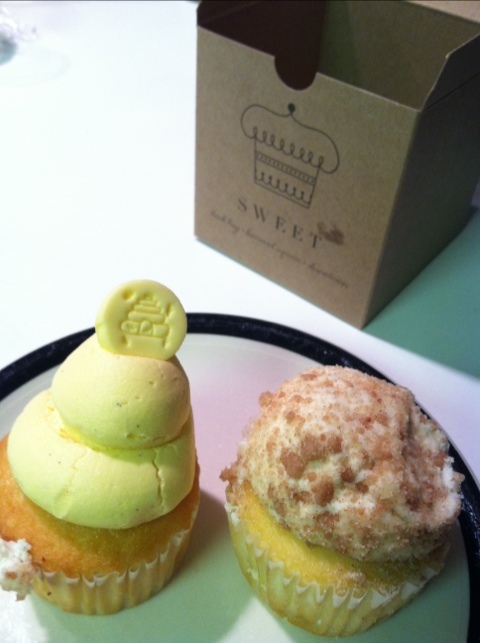 From Sweet, Harvard Sq. 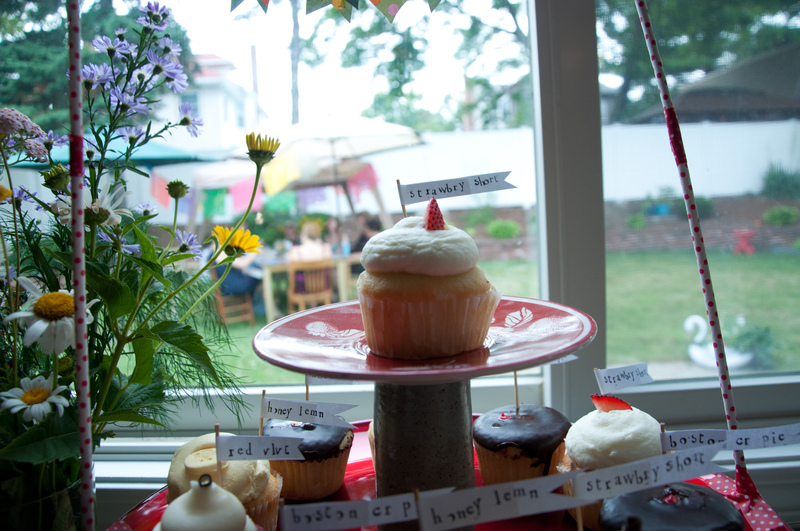 Boston Cream Pie, Red Velvet, Strawberry Shortcake, and special for summer Honey Lemon! (my favorite). 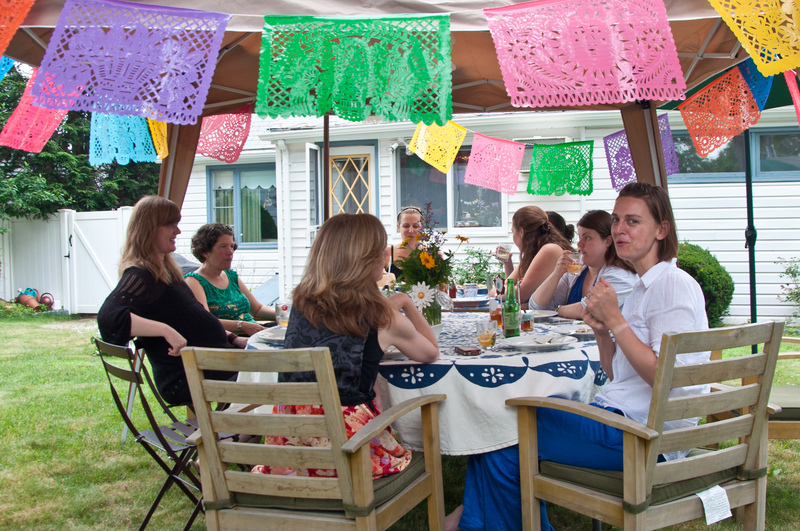 Festive Mexican party flags from Nomad. Weather tolerant. Reusable. Lots of bang for your party buck. Apparently I love my decor over my own personal vanity (cuz that’s me with the weirdo face int the blue pants). Sugar and spice and everything nice! Flowers cut out from recycled calendar (Paper source). 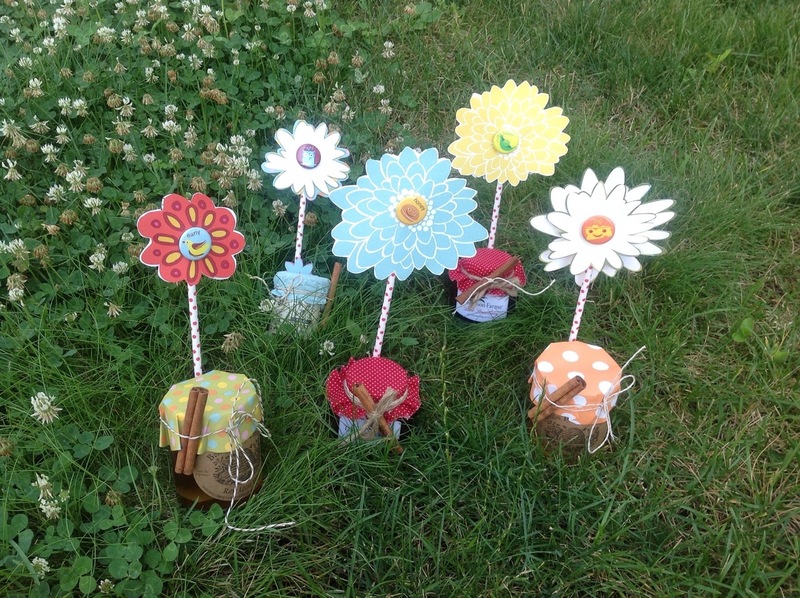 Button pin centers from Derby Farm (Arlington, MA). 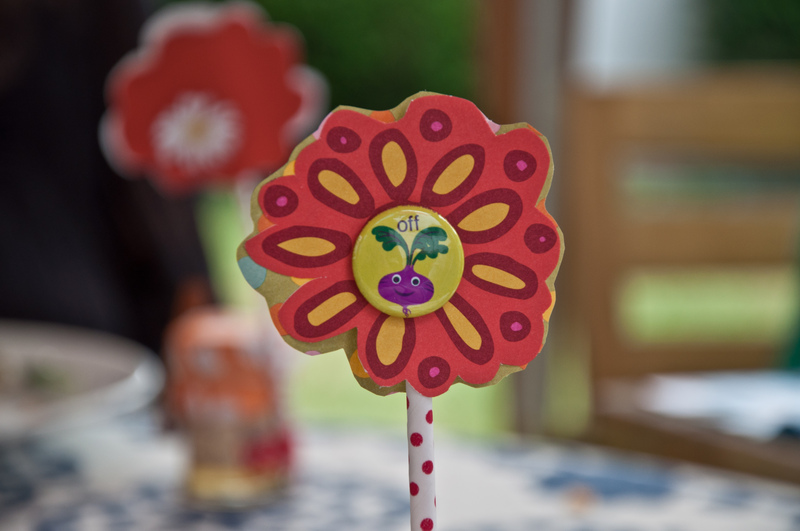 Polka-dot paper straw for a stem. Jar of honey (sugar) tied with cinnamon stick (spice). 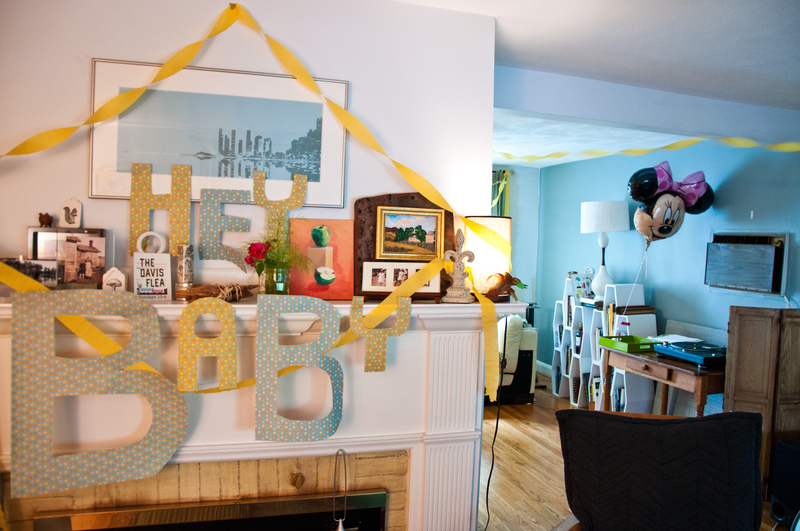 Polka-Dot Paper and streamers set the mood. Some general party ideas . . .
1. 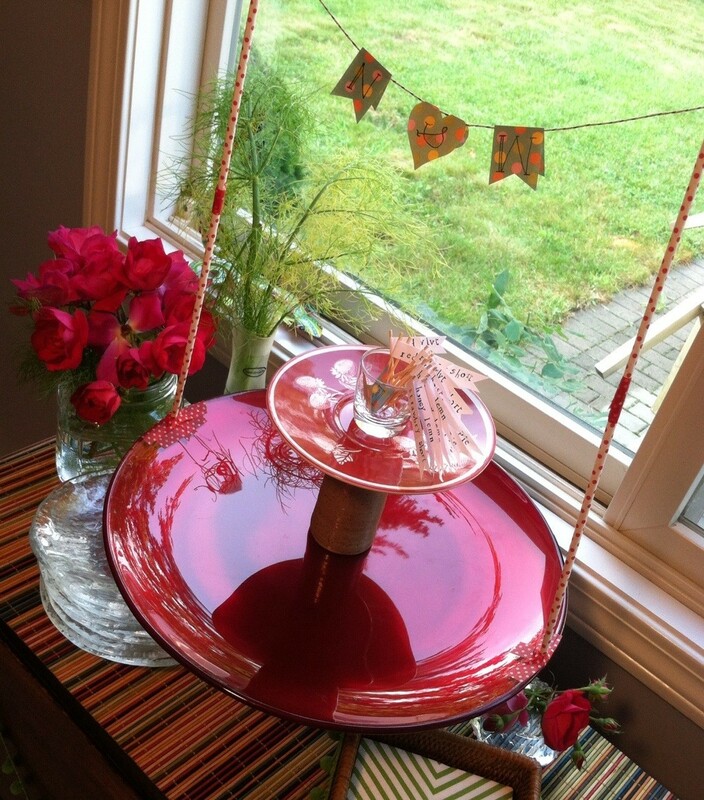 Create your own tiered cake stand from kitchen items you have on hand. This one has a cake stand base, ruby-red platter, cylinder bud vase, oversized tea-cup saucer. All secured with painter’s tape (easy to remove). Just enough so a bump to the table won’t knock anything over. 2.Toothpick Flavor flags! 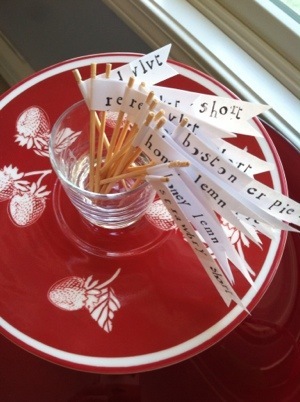 Use any paper, toothpicks, a little double sided tape and rubber stamps. Make while watching TV. 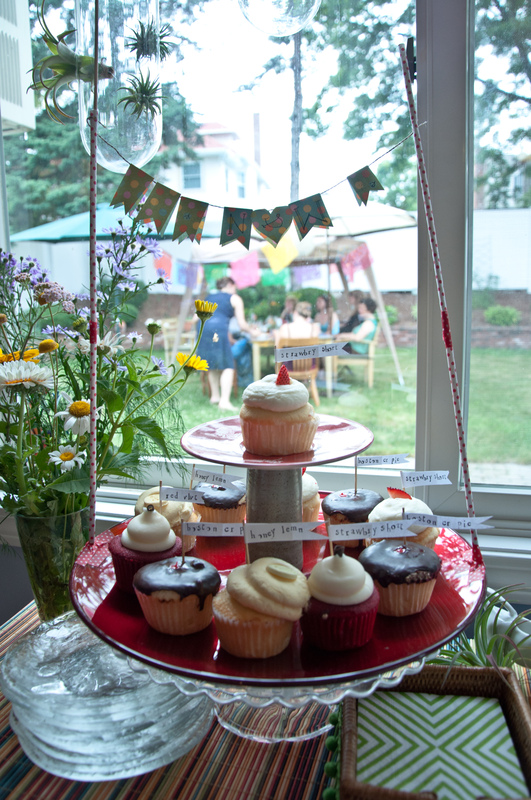 I was practical and stamped out the cake flavors. Sayings connected with the party theme or guest of honor are nice too. 3. Little wishes. Side boat of little paper flags for sending pre-bday wishes. 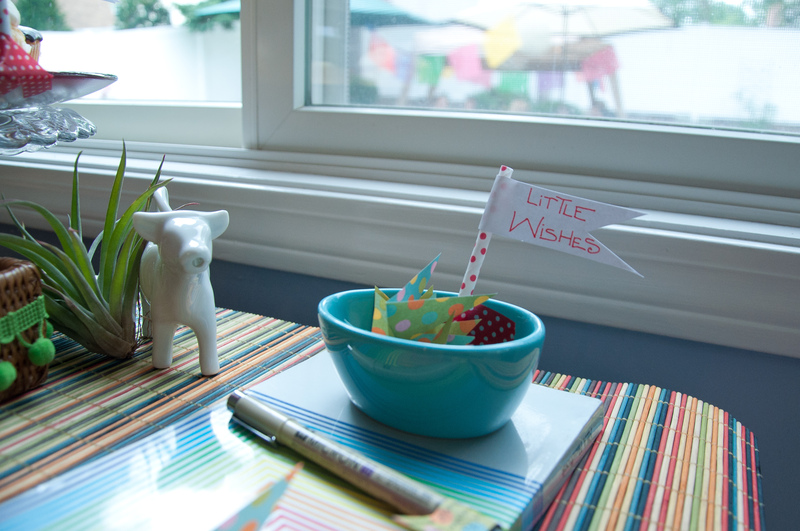 Write a note, hang it on the string above the cake plate. Give to mom-to-be. These two are also Liz Scully photos. 4. Drink labels. Is that my glass? Ahhh! 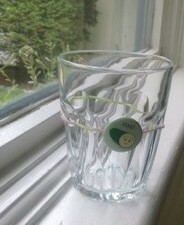 It is my glass! 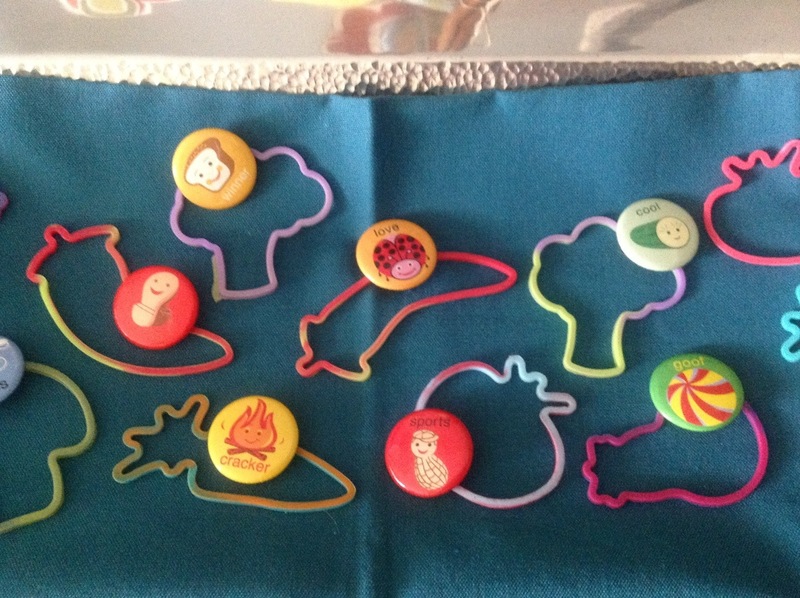 These are silly bands with button labels (creating continuity with the favors). 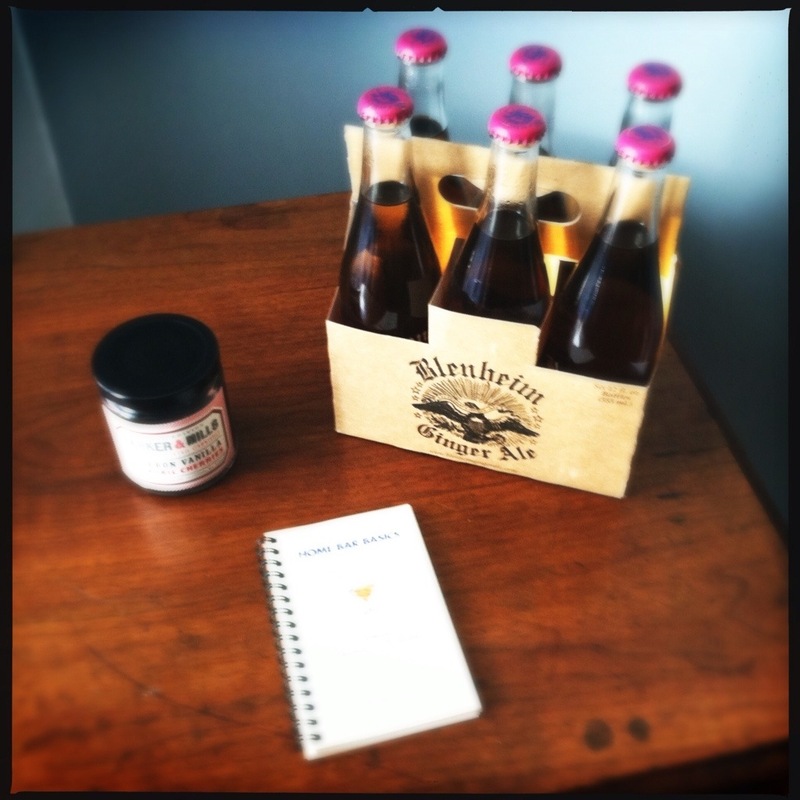 Unique, easy and thrifty drink labels.